Private sessions available for groups and individuals from £10! 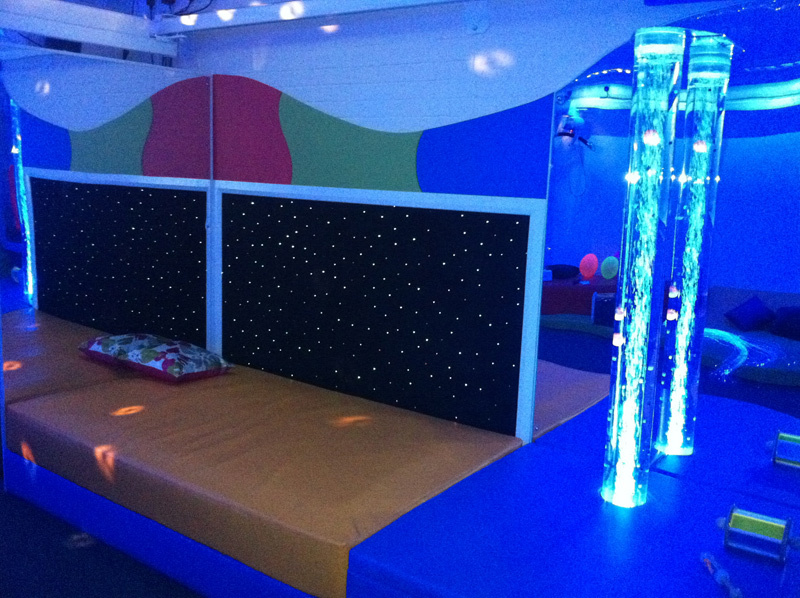 All children and adults with disabilities can benefit from using a multi-sensory room! All children and adults with disabilities can benefit from using a multi-sensory room. 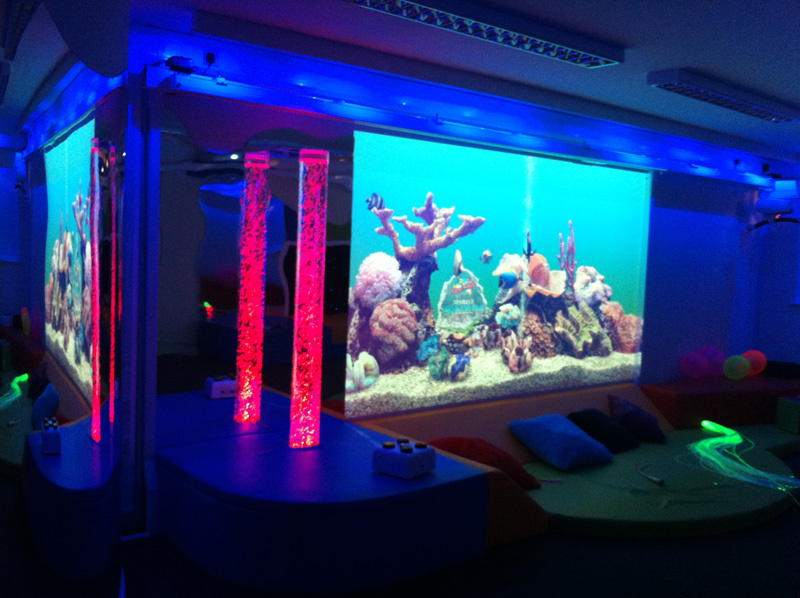 These environments have proven to be extremely valuable to those with disabilities, some evidence suggests that those with challenging behaviour can improve and may be reduced over a long term period. 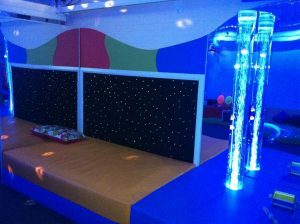 These unique multi-sensory rooms have a range of bespoke equipment creating both a calming and interactive atmosphere, where colours flash through the fibre-optic strands along the floor; streams of blue and green simultaneously twinkle through the bubble tubes and the disco ball sparkles. Our users can enjoy lying on the water beds dreaming away to the sounds of classical music or playing in the mirrors creating their very own personal party space with pop music in the background. We can accommodate a maximum of 8 people in the room, including carers. 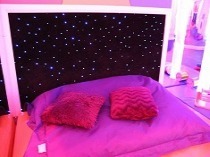 The multi-sensory rooms can be booked in 1 hour slots. 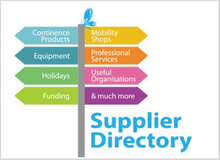 The slots can be reserved permanently if you wish to attend on a weekly or monthly basis. Each session costs £10 per service user; support workers and parents are free of charge. The rooms are bookable for individuals sessions or for a private group, if more than one of your service users would like to attend. 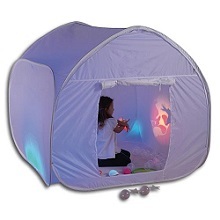 If you want to book a sensory session or find out about availability please contact us 0161 214 5959.